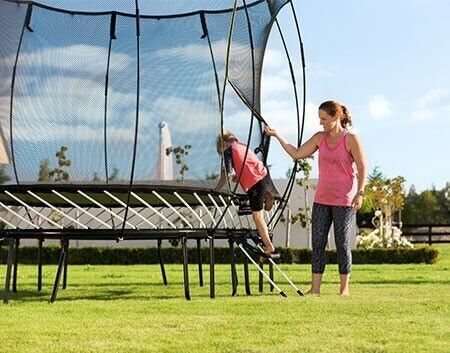 Choosing which Springfree Trampoline model best suits your family is often influenced by the size and shape of your yard. How much space is available? Is there a safe lateral and vertical clearance? What is the gradient of the ground? Whether you’re concerned about slopes in your yard, how much space you have (or don’t have!) 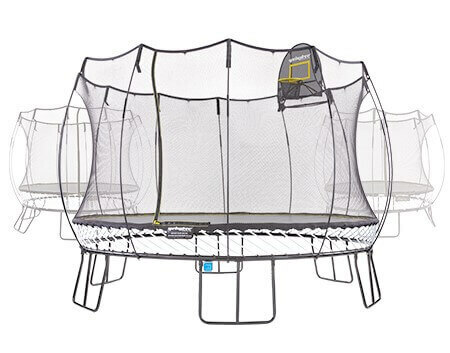 or how much clearance around the trampoline you need, our yard assessment service is more than just a tape measurement. We’ll take the guesswork out of choosing the perfect Springfree – for FREE! If you’re keen to purchase your Springfree and have it installed on the spot, we will be able to accommodate this. Want to book your FREE yard assessment now? Call 1800 586 772 to book your Free service or fill out the form below and one of our friendly team will give you a call within 48 hours to organise a time that suits you. Your ultimate guide to find the perfect Springfree for you! Save up to $316 on accessories when you bundle! Adding an accessory bundle is a great way to get the kids outside and active these school holidays. Our online store is currently unavailable for scheduled maintenance. Please call +1800 586 772 to place an order. We apologize for any inconvenience.